Can I use my judgement in deciding what is a Qualified Tuition and Related Expenses (QTRE), or should I only go by what the school reports in a 1098-T? I have a question about Qualified Tuition and Related Expenses (QTRE), specifically how much of it is what the school decides (based on their understanding of the IRS rules) and how much of it can be the taxpayer’s judgement. My question is about a specific fee charged by the school for a very specific matter: My child is a cadet at a Marine Academy and, as a part of his degree, which includes getting a third mate’s license, is required to spend mandatory time (45-90 days) at sea each year. This is done on a training ship owned by the school – a fully accredited school, by the way. We had to pay for something called a “Ship maintenance fee” as a part of his college fees. This does not seem to have been included in the QTRE and I wonder why not. (The school did not offer any explanation when I called to inquire.) After all, being on board the training ship is necessary (indeed mandatory) for graduation from this marine academy, and this is not a student-specific charge peripheral to the degree requirements. My question is: can I include this in calculating the actual (in my opinion) QTRE? In TT, I guess this would mean clicking the box that says “This is not what I actually paid” in the 1098-T interview and adding this to the Box 1 figure. Can I use my judgement, in this specific case, to include this “maintenance fee” in QTRE despite the fact that the school did not? Any response would be appreciated. Thanks very much in advance. We're probably going to be getting deep in this discussion so this will most likely be a long thread. Hopefully, we don't get to much "clutter" from others, since this is a public user-to-user forum. However, I don't want to discourage input from others that may be able to contribute useful (key word, "useful") information to the immediate subject being discussed at a specific point in time as this thread grows. But first, I need to back up a bit before we get to the education stuff at all, since your son is attending a military academy. As a retired Air Force vet myself, I'm curious as to which one if you don't mind. Understand that for an undergraduate college student, there are actually two completely separate and unrelated determinations that need to be made. The first determination is if the student qualifies as your dependent. This has absolutely nothing what-so-ever to do with the education stuff, or IRS Publication 970. The dependency requirements are covered in IRS Publication 17 starting on page 24 of that document. https://www.irs.gov/pub/irs-pdf/p17.pdf So for this post, that's all we're going to discuss. My intent @dyons is not only to educate and provide understanding to you, but to "the masses" that may read through this thread in the future. So please bear with me if I'm hashing through what you may already know. There are two types of dependents. Qualify Relative Dependent, and Qualifying Child Dependent. I am going on the assumption that your son was under the age of 24 on Dec 31 of the tax year. That means the qualifying child dependent rules "should" apply to him Here they are in a nutshell. The parents qualify to claim the student as a dependent on the parent's tax return. Period. End of Story. Several things I want to point out concerning the above requirements which are not mentioned in those requirements, because they are "not" requirements. 1) The student's income doesn't matter. There is no limit. It's perfectly possible for the student to earn a million dollars, yet the parents still qualify to claim the student as a dependent on the parent's tax return. 2) The support requirement is on the student, and *ONLY* the student. There is absolutely no requirement for the parents to provide the student any support. *NOT* *ONE* *SINGLE* *PENNY*. 3) There are only two possible ways the student can provide more than 50% of their own support, and "ONLY" two ways. A- The student has a W-2 job or is self-employed, and earned enough taxable income to justify paying more than half of their own support. B - The student is the *PRIMARY* borrower on a *qualified* student loan *and* enough funds were distributed from that loan to the student in the tax year, to justify more than half of their own support. If the student is not the *Primary" borrower on the loan, then it's not considered and can't be considered as income used by the student to provide their own support. So any other monies received by the student, or received by the school on the student's behalf from any other source (including the parents) is considered to be third party support, and just flat out *does* *not* *count* for the student providing their own support. Note that all expenses must be "reasonable" for a college student. For example, if the student spends spring break in Vegas and losses $5,000 at the casinos, that is "NOT" a "reasonable" entertainment expense for a college student by any stretch of the imagination. Paying $5000 a month rent to live off campus instead of in campus provided housing is also not a "reasonable" expense for a college student. 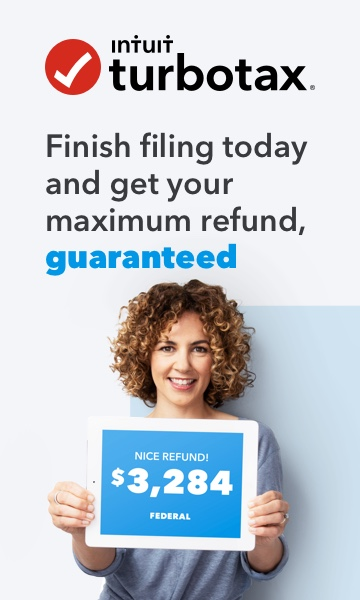 So in other words, "keep it real" or the IRS will be on you like files on honey, generally about 24-36 months "after" you've filed a return with such unreasonable expenses claimed on it. When it comes to determining if the student provided more than 50% of their own support or not, the IRS will apply "all" third party source income to the support expenses first. Then if there are any expenses left, then they will apply the student's earned income and/or borrowed money to the remaining support expenses. With this method, that means with a lot of 3rd party support, it is perfectly possible for the student to have earned or borrowed a million dollars, yet still not have provided more than 50% of their own support. That means the parents would still qualify to claim them. The key word in the last sentence above is "QUALIFY". Here's how this works. If the parents 'QUALIFY" to claim the student as their dependent, there is no requirement for them to do so. The parent's don't have to claim the student if they don't want to. So the parents have a choice here. However, the student does *not* have a choice. If the parents *qualify* to claim the student, then the student must indicate on the students tax return that "I can be claimed on someone else's return.". Period. It does not matter if the parents actually claim the student or not. The parents "QUALIFY" to claim the student. I'll wait for your response here @dyons in case there's any questions. If no questions, then we'll get into the actual education stuff and start getting into what your concerns are. + My son was at Stae University of New York Maritime College. It trains cadets for careers in the merchant marine, not the coast guard or navy. In addition to an undergraduate degree (in Engineering), the cadets have to earn their Third Mates license. Hence the "sea term" in addition to the regular spring and fall terms, and this "maintenance fee" for the training ship. + He is our Qualified Child dependent, and meets all the criteria you provided. + His support was provided by me (via a 529 plan) and a scholarship from the school. He has no income of his own of any sort. + I should also mention that I have pored over every word of Pub. 970 and other material and feel that there is some ambiguity in the interpretation of what may be called a QTRE. I can elaborate on this later, if you like. I hope these address the questions you asked. I look forward to any comments or opinions you might have on the original points I raised. Much thanks for your thoughtful responses to help me and the entire community. Thanks for all the details. I've never really known what the merchant marines was and just figured it had something to do with the U.S. Marine Corps. I just read a synopsis on it on Wikipedia and see that its somewhat between the U.S. Coast Guard and the Navy, as a merchant marine can be commissioned into the navy as a navy officer. I found the reading interesting. Basically, what you're seeking is clarity on just what qualifies as a qualified education expense. The IRS is quite clear on this really, defining qualified expenses as tuition, books, and lab fees. There are no exceptions to that either. While what qualifies as tuition and lab fees is pretty straightforward, the category of "lab fees" is rather broad. For example, in the last few years the IRS has updated lab fees to include the cost of a computer for the student provided two basic criteria are met, and the criteria are not really that clear. But here's how I interpret them. "We had to pay for something called a “Ship maintenance fee” as a part of his college fees." So if your son was living in the campus dormitory you'd be paying rent for that too, right? That rent would include the cost of keeping the common areas cleaned, bathrooms cleaned, etc. So I see that ship maintenance fee as a part of the "rent" being paid to live on the ship while deployed on the water for training. It does, without question, meet the IRS requirement of that payment being a "condition of enrollment" in order for him to "attend class" on the ship. Ya know, this is one of those that I would absolutely *LOVE* to see in federal tax court. But I would be to unsure of the outcome to bet any money on either side. 2) The school does not offer reasonable access to the resources necessary for the student to meet the requirement. I say the above is vague, because the IRS does not define "reasonable access". But most colleges have a 24/7 accessible lab or computer room that students can use at any time. But if there's not enough computers, does that mean the school does not offer "reasonable access"? It's one of those grey areas. Enough of this on the qualified education expenses. You mention that you have 529 funds in this game. So let me clarify a bit more on this deductible education expenses stuff. There are basically three categories or sources of income that are used to pay for one's education, and not just the "qualified" expenses either. - Scholarships/Grants -- These income sources are applied first by the IRS to qualified education expenses. Scholarships and grants can only be used to pay for tuition, books and lab fees. That's it with no exceptions. QTP/529/Coverdell Funds -- These income sources are applied second by the IRS for the qualified education expenses of tuition, books, and lab fees. Additionally, these funds can also be used to pay for the unqualified but allowed expenses of room and board, *provided* that room and board was paid for in direct support of the education. For example, say the student was living away from home in Maryland for the entire year, attending college in 2018. They enrolled/attended classes for the 2018 Fall semester Jan - May, then remained in Maryland for the summer semester Jun-Aug but did NOT enroll in or attend any classes, then attended the spring semester Sept - Dec 2018. IN this scenario all room and board for the summer months would not be deductible because the student was not enrolled in/did not attend classes June through August. So room and board paid for those months was not in any way, "in direct support" of the education. Out of Pocket Expenses -- The only qualified out of pocket expenses are the same as they are for scholarships and grants. Tuition, books and lab fees. Room and Board is *not* a qualified out of pocket expense.